Late last week AOL’s CEO Tim Armstrong announced that the company would be delaying company contributions to employee retirement accounts. That was enough to make workers grumble already, but then he added that the shift was partly due to two specific employees who had “distressed babies.” That didn’t go over so well, and the company has now reversed the benefits shift. In announcing the plan — which would likely have punished employees who switched jobs in mid-year, because 401(k) matches wouldn’t be paid out until the end of the year in one lump sum — Armstrong made what many critics called a possible breach of privacy (and at the very least, an insensitive gaffe) by mentioning two examples of healthcare expenses the company had to pay for. The blowback was immediate — enough so that Armstrong announced on Saturday that the benefits plan would remain the same as before. “We heard you on this topic,” Armstrong wrote in a letter to employees Saturday, reports the Associated Press. He also apologized for bringing up the two employees. “On a personal note, I made a mistake and I apologize for my comments last week,” he wrote in the letter Saturday. The wife of one of those employees, the accomplished writer Deanna Fei, responded to Armstrong in an article on Slate on Sunday, where she detailed the impact of Armstrong’s comments and apparent blame made on her family and their baby. 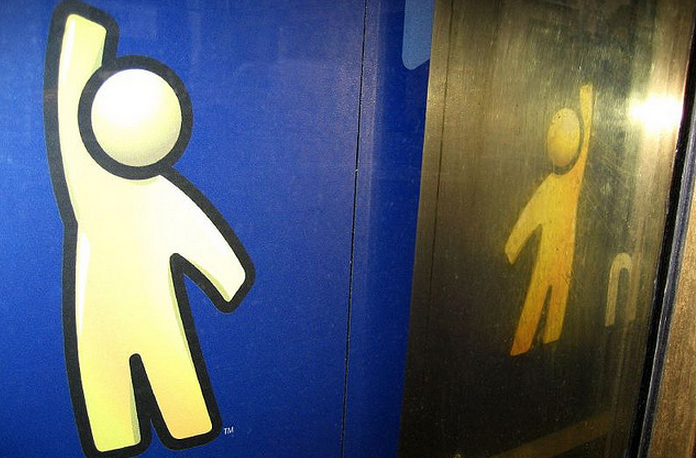 Here is how we supposedly became a drain on AOL’s coffers. On Oct. 9, 2012, when I woke up in pain, my husband was at the airport about to board a flight for a work trip. I was home alone with our 1-year-old son and barely able to comprehend that I could be in labor. By the time I arrived at the hospital, my husband a few minutes behind, I was fully dilated and my baby’s heartbeat was slowing. Within 20 minutes, my daughter was delivered via emergency cesarean, resuscitated, and placed in the neonatal intensive care unit. She goes on to describe the pain of not knowing whether it was okay to love her baby, to name her or get to know her because they didn’t know if she would survive. Her daughter has grown into a healthy toddler, and Fei writes that she’s grateful for the healthcare AOL provided. But just because Armstrong reversed the benefits shift and apologized… it’s not enough.